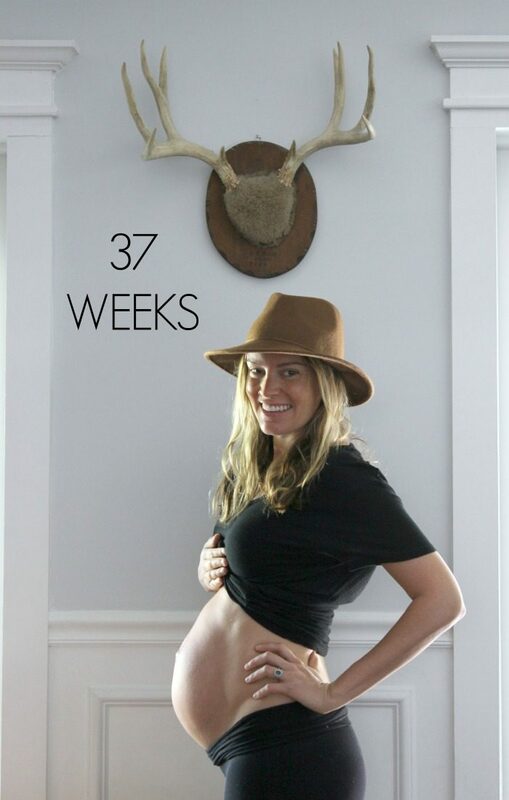 How far along: 37 weeks pregnant! Due September 27th. So beyond thankful to have made it full term! Sleep: Taking a 30 min. nap daily. This past weekend esp. I have felt super exhausted. Peeing one time in the middle of the night. Best moment of this week: Having a three day weekend with our little family. At this point now, its just a waiting game for labor- so I am trying hard to savor each moment just us. Also, on Monday we spent the whole day celebrating the last day of summer with Bray. He starts school today, so we went and got his favorite breakfast, went to the Childrens Museum, and ended the day at Peter Piper Pizza. He was in heaven. Movement: Still crazy. I NEED to get a video before she arrives! She also is SO freaking low now its crazy.